Singer Rihanna was spotted in NYC over the weekend shooting her up and coming video “What’s My Name”. 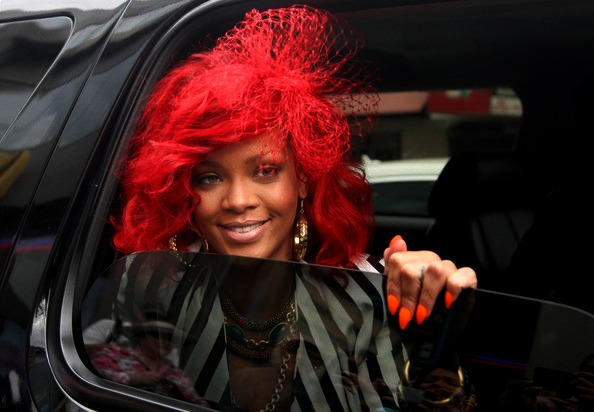 We can’t seem to come up with an answer to the question, “Why the HUGE red hair?” …but then we think, its Rihanna. She’s bound to try just about anything. Can we blame her? Are you ready for a BRAND new season of Desperate Housewives? Well here’s the BRAND new promp pics and video for Season 7… Looks like someone NEW will be on Wisteria Lane this season, Get READY! Season Premiere of Desperate Housewives Sunday, September 26th at 9|8c.